In the prior post I looked at the differences in portability in the 5 cameras I work with at the moment. In this one, I want to look at each camera briefly, to describe why I bought it, how it performed, and what I currently use it for. In the next post, I will look at how they perform comparatively, and what the effect of sensor size is on the cameras’ performance and usability. By the way, an astute friend and former colleague has asked “If you use 5 cameras and they are all in the pictures – how did you take the pictures??? ?” (this is the kind of question he used to ask at work also). Ah ha! I used the camera from my HTC Desire Android phone, which although only 5 MP, is pretty reasonable for this kind of work. OK, on to the cameras. I am going to cover them in the order that I bought them, since that provides a sort of logic to the content (and also may allay your possible impression that I randomly purchase gadgets as the whim takes me – which is only partially true). A short while after I bought the ZS-3, Panasonic and Olympus joined together to create a new standard for high-end compact cameras, which combined a much larger sensor with interchangeable lenses. Known as the “Four Thirds” system (so-called for the format of it’s sensor) this caused a sensation in the industry, and has led to all major manufacturers (with the exception of Canon) creating interchangeable-lens compacts. Something held me back from getting one of the first of these cameras, not least the increased size of the overall camera. However, when Sony came out with the NEX series around 18 months later I could not resist. There were a few reasons that pushed me their way. Firstly the sensor in the Sony was APSC-sized, as used in most non-pro DSLRs, and was 1.6x bigger than the 4/3rds sensors. The image quality as a result was excellent, and in particular, the dynamic range (the recordable range between deep shadows and highlights) was at DSLR levels or above. 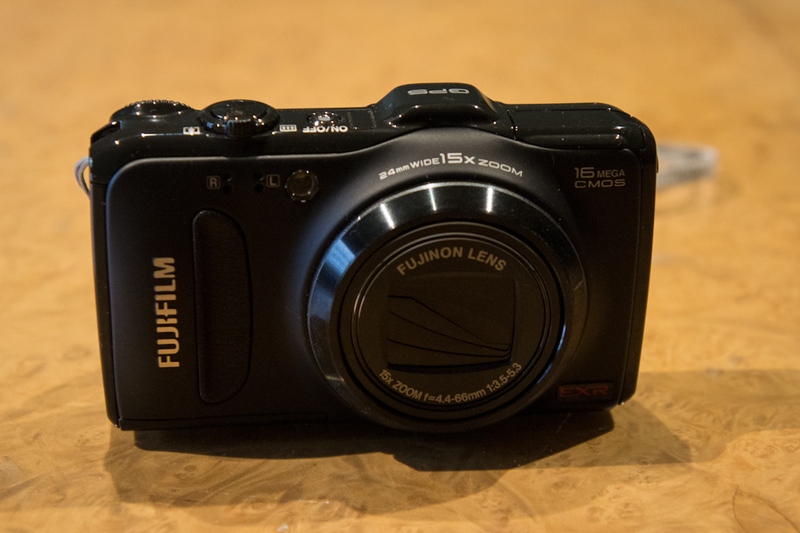 And finally it had a wonderful sweep zoom function that allowed you to take high-res panoramas in a single flow. At the time I had given up on video as a way of recording mountain vistas, and so the pano function was very tempting. I bought the zoom 3x lens to start with (18-55mm) and added a 16mm wide-angle pancake later. And I have to say the camera has been a joy to use. 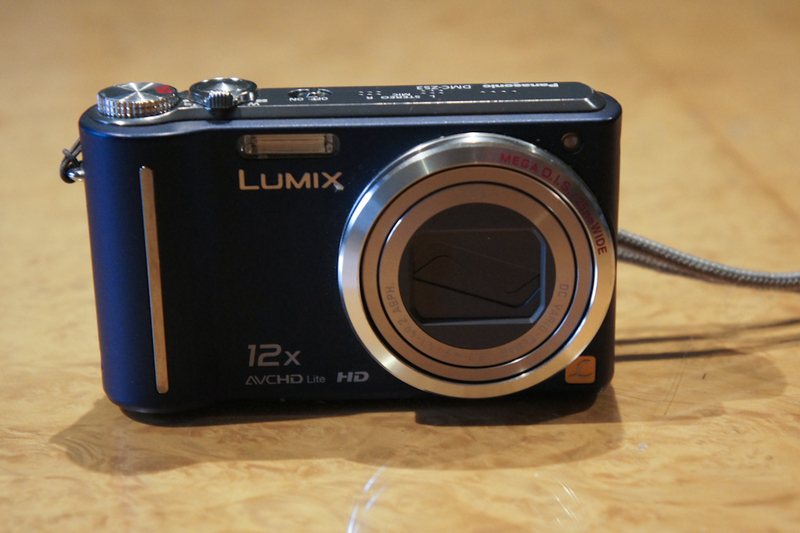 The images are excellent, the pano function superb, and for it’s quality, it really is small. The 2011 pictures from my Cape Town garden, were mostly taken with this camera and a superb 200mm Nikkor prime at least 50 years old. On the downside, the large sensor means larger lenses than small sensor or 4/3rds cameras. The longer zooms are huge, and remove all advantage of the small body. So it is only really competitively small for zooms up to 3-4x (or max 80mm equivalent on a 35mm camera) and pancake prime lenses, and that limits the range of places I would use it. But for all that it’s still an extremely compact system. It was well reviewed by some at the time, and it’s successor, the more expensive NEX-7 has received raves. One other item attracted me. 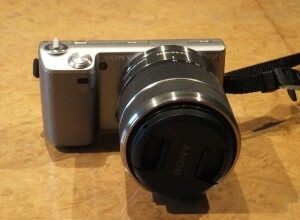 Sony adapted it’s focusing system so that manual focus was particularly effective. And adapters were available that let you attach older, top quality, but very keenly priced prime lenses to the camera. Suddenly people were attaching Summicrons and getting Leica quality shots for a fraction of the cost. At that time, a close friend had tragically died, and his wife asked me to dispose of his old Nikon lenses. It occurred to me that these would fit the Sony, and so I spent a happy few months last year taking nature shots with the Sony/Nikon combo, and seeing how sharp I could get a photo. After a while I started to see how great those Nikkor lenses were, and thought what I really needed was a real Nikon to attach them to. Which led to…………………. As I already had a Canon DSLR, this was entering my 3rd set of incompatible interchangeable lenses. Nonetheless I don’t regret the purchase. When the D7000 came out it was and is heralded as one of the best high-end amateur DSLRs available, with excellent image quality, DR, and focussing speed. 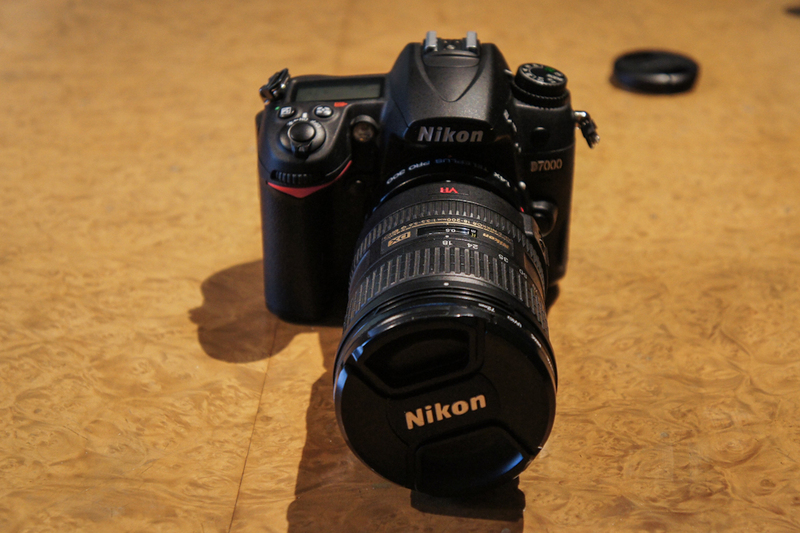 Indeed it presses closely on the semi-pro models like the D700. Although I had a head start with the wonderful Nikkors of my late friend, I also bought the excellent 18-200mm VR DX zoom, which I use as the standard lens. I spent a while seeing if was practical to walk with the camera and this lens, and tried various cases and slings. Sadly, for me , it’s a non starter, largely because of the zoom. The weight of the camera means the zoom hangs vertically down, and in this position the zoom gradually extends, until it is fully out (this was addressed in the latest version of the lens, but not fully fixed). That’s both bad for the lens and for practicality. Primes don’t do this of course, but that then requires me to walk around with a case of lenses – which I refuse to do. For me the 7000 can only be used in a static or semi-static position, and is best on a tripod. In that mode it is magnificent. It has excellent remote triggering capabilities, and via Lightroom can be operated in “tethered” mode, i. e. via an attached PC. I have had a great deal of fun in this manner doing bird and other nature shots, and if it can be lugged into position it is unparalleled. But unless you are a dedicated Nikon shooter, it is an also an overly complex camera. 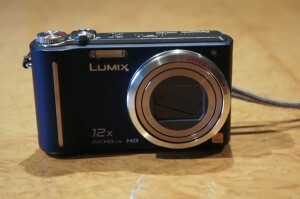 There are 13 separate buttons or controls on the the camera, as well as two data screens of great detail. Its not hard to master this, but for a codger like me, its difficult to remember it. Moving between the Nikon and other cameras is hard work. I’ll keep it for best, but like best suits, it will only be brought out occasionally, for special occasions. I shot these pictures of the Cape Argus race last year with the Nikon, using it’s excellent focus speed and nice depth of field in particular. So I had now moved up the scale from the small to the gargantuan, and the best camera was almost never in my hand. In fact it often wasn’t even in the same country, as you don’t want to put your prized Nikon system in the hold when flying, and its massive size (particularly when the camera and lenses were in their cases) really pressured my hand baggage space. Then I saw a review for the Fuji Z900EXR compact, and my quest for portable snappiness took a different turn. Well my goodness – look at the time and the length of this post! I think that I will stop here and continue the story of the Fujis in a separate installment – appropriately in fact as this most recent stage represents a quite different (but no less crazed) approach to the problem of the camera in your hand.